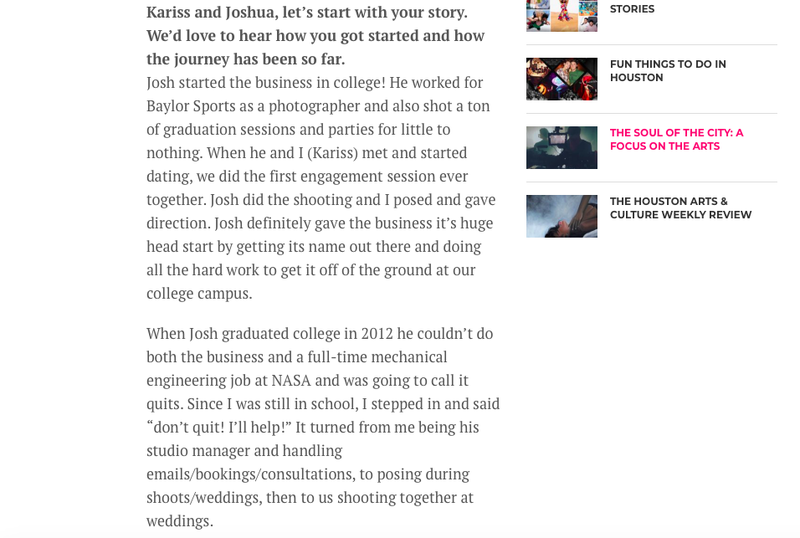 We are honored that Voyage Houston has shared our story with it's followers! Many of you have been with us since we first started and we are eternally grateful for you becoming returning clients all these years. You have helped us pave the way to be apart of so many amazing celebrations over the years and meet new people that have assisted in making Pharris Photography & Philms what it is today. 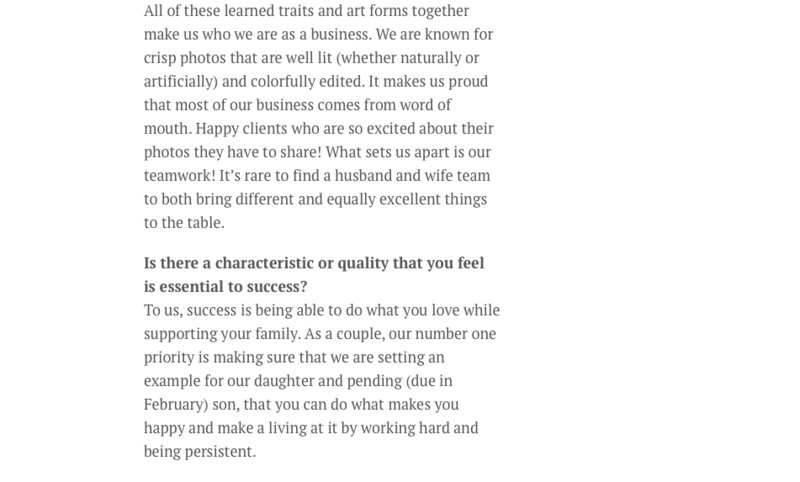 With that being said, we share with you our interview with Voyage Houston with so much gratitude as we know we couldn't have done it without all the support from our friends, family, and clients that have turned into friends and family. Thank you! Scroll down to continue reading or click here to see the full feature on Voyage Houston.